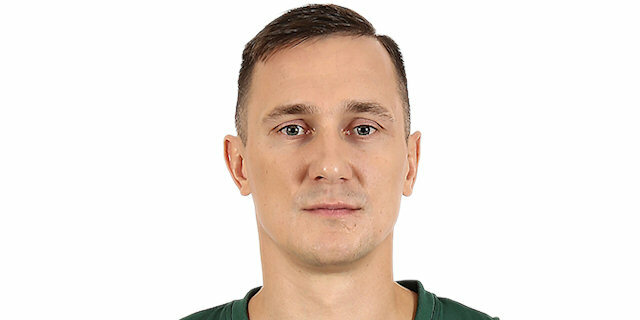 CSKA Moscow never trailed in its 59-94 rout of Zalgiris Kaunas on Friday night, which was also its 16th consecutive Euroleague victory over the Lithuanian champs. Milos Teodosic scored 20 points and Nando De Colo 19 for CSKA as it improved to 4-2 in Top 16 Group F. The loss dropped Zalgiris to 1-5. Teodosic scored 10 points in six minutes off the bench in the first quarter to help CSKA grab an 11-26 lead and Zalgiris never got closer than 11 after that. The difference continued to swell throughout the second half and peaked at 35 on Kyle Hines’s game-ending free throws. Joel Freeland added 13 points and Vitaly Fridzon scored 10 for CSKA, for whom all 1 players scored. 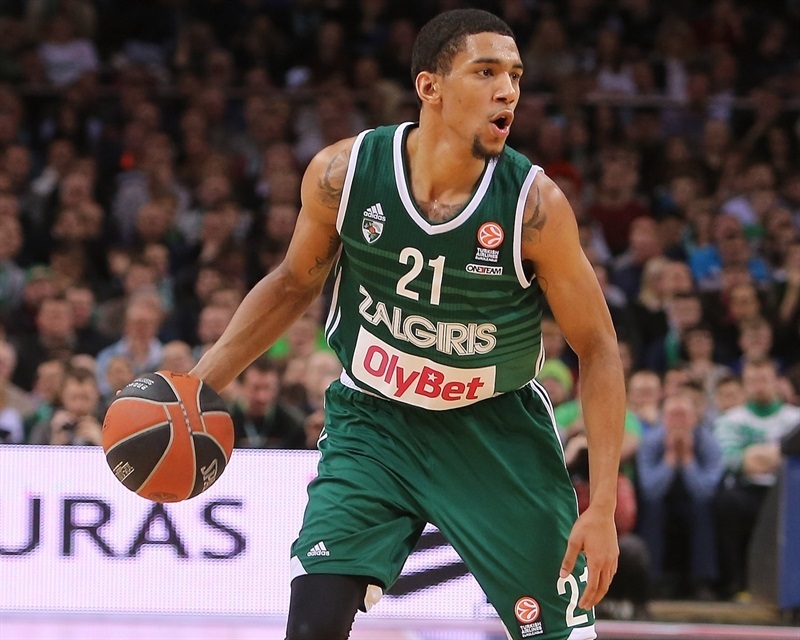 Paulius Jankunas led the Zalgiris attack with 16 points. 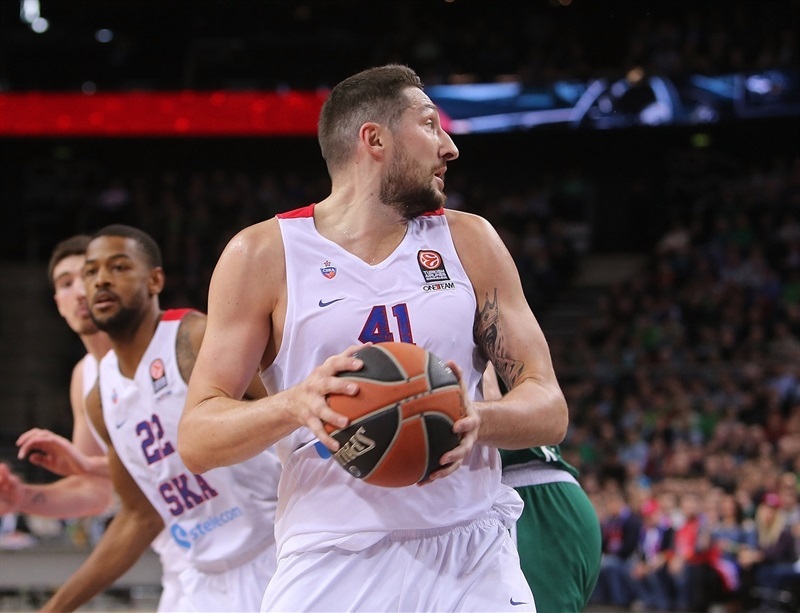 De Colo buried a turnaround jumper and Cory Higgins nailed a second-chance triple as CSKA took an early a 0-5 lead. Ian Vougioukas stripped De Colo and went in for a slam and Renaldas Seibutis drilled a three to tie the score. De Colo found Fridzon on an inbounds play for a triple and De Colo corrected his own miss to restore a 5-point CSKA advantage. Both teams went to the bench early with the hosts turning to Olivier Hanlan and the visitors calling on Teodosic and Hines. Teodosic found Victor Khryapa open in the corner for a three pointer and a 5-13 lead at the five-minute mark. 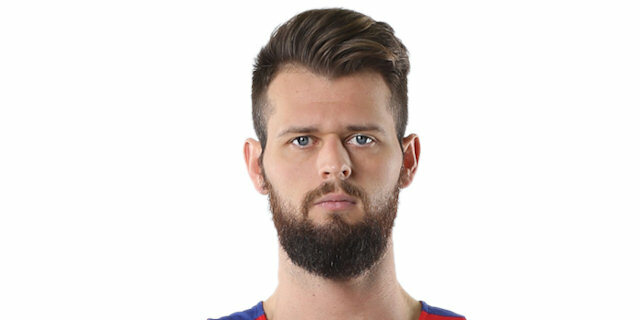 Edgaras Ulanovic netted free throws for Zalgiris, but Khryapa made a jumper in transition and Teodosic connected from downtown to establish a double-digit CSKA lead. Martynas Pocius made free throws at one end, but Teodosic started to heat up with a basket-plus-foul. Broc Motum was credited with a basket when Hines’s attempted block was ruled goaltending, but Teodosic hit right back with a jumper for a 12-point advantage. Nikita Kurbanov split free throws and Teodosic went through the Zalgiris defense to give himself 10 points and CSKA an 11-26 lead. Pocius connected on a tough leaner to spark the hosts. Teodosic and Hanlan traded triples before the latter assisted on Hines’s pretty alley-oop layup. 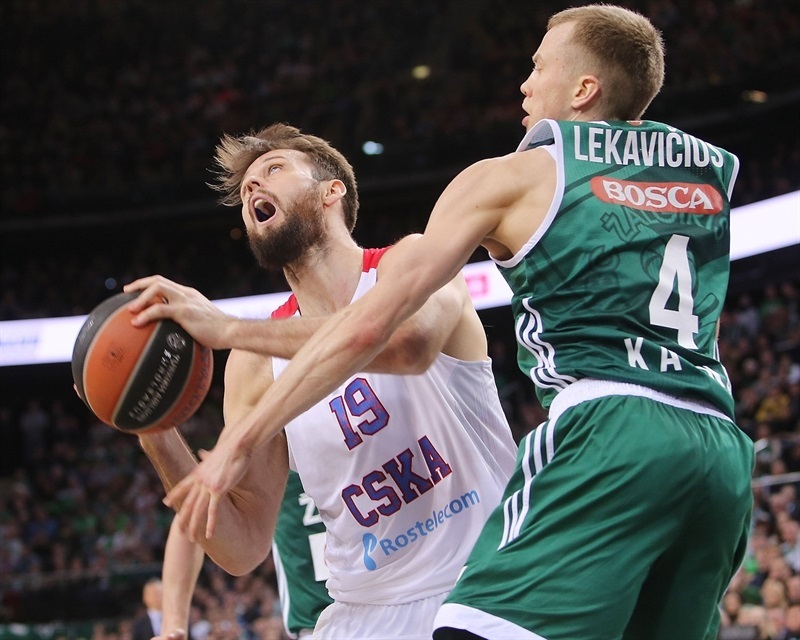 A De Colo triple and a three-chance offense put CSKA up 16-34 and prompted a Zalgiris timeout. 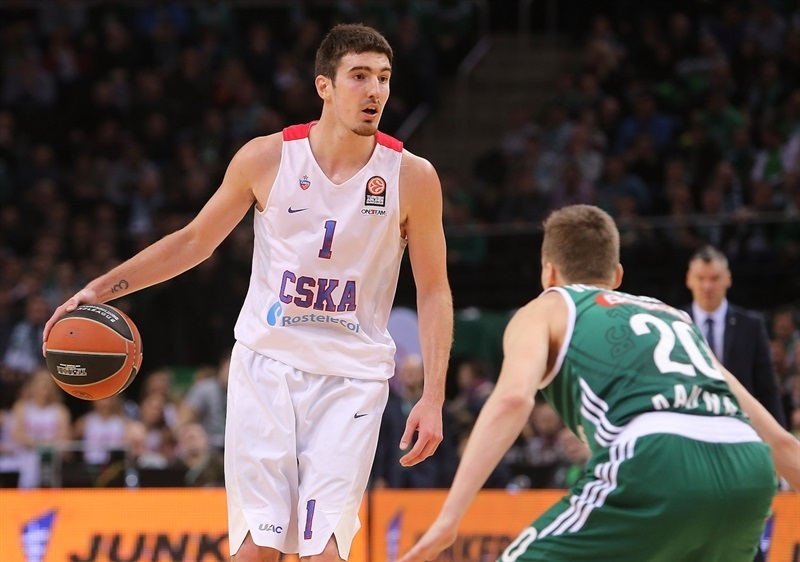 Seibutis hit a three over Hines, but De Colo hit a short jumper to keep CSKA cruising. After Hanlan split free throws, De Colo’s perfectly delivered entry pass gifted Hines a two-handed slam. Jankunas’s slam made it 22-38 midway through the quarter. 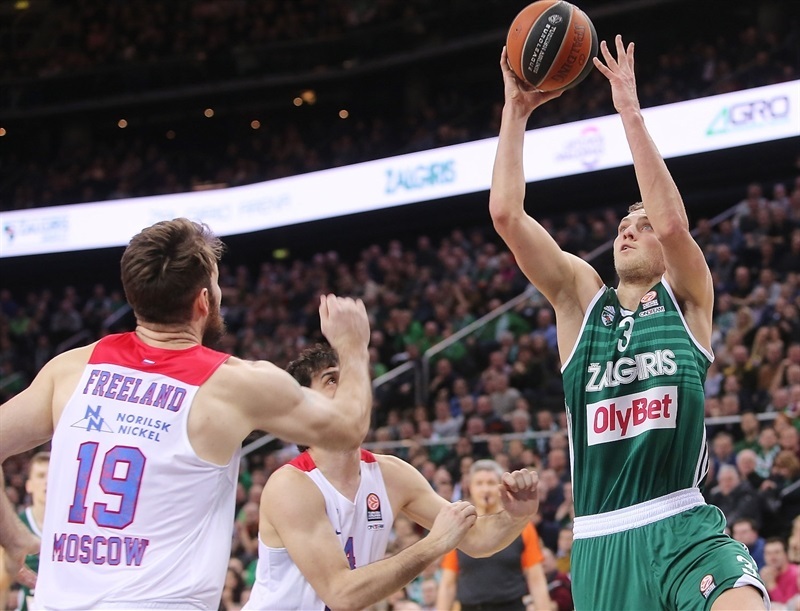 Lukas Lekavicius got on the scoreboard with a three-pointer as the Zalgiris faithful roared. Jankunas further trimmed the deficit to 11. After a timeout, De Colo sank a three from the top of the key and Freeland drew a foul and flung in a shot with his back to the basket to turn it into a three-point play. Jankunas free throws closed the gap to 29-44 at the break. Khryapa blocked a shot and hit a short jumper to get CSKA rolling again and a De Colo triple extended the visitors’ advantage to 20 points. Teodosic dished a no-look assist to Hines for a three-point play to cap a 0-8 start the half. 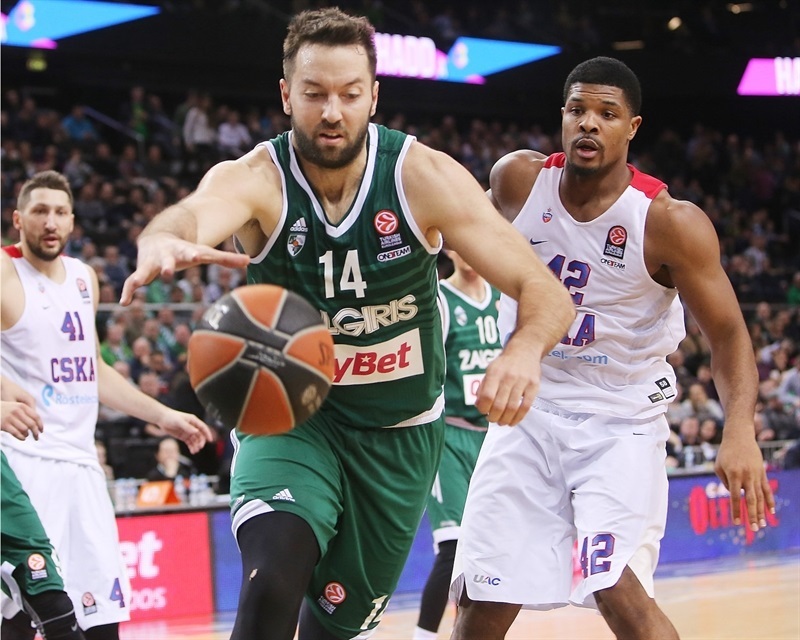 Jankunas scored inside for Zalgiris, but Teodosic banked in a shot to make it 31-54. Jankunas and Vougioukas scored for the hosts, but Teodosic answered with a three from the corner. Kurbanov’s monster jam extended the difference to 35-59 midway through the quarter. Lekavicius hit a jumper in the lane, after which Andrey Vorontsevich split free throws. Fridzon spotted a cutting Freeland for a slam and a 25-point lead. After a Zalgiris timeout, Siim-Sander Vene and Kaspars Vecvagars both made threes. After an impressive block by Higgins of Hanlan, Freeland and Higgins sandwiched free throws around a Hanlan jumper to end the quarter at 45-66. Jankunas split free throws and Teodosic made 2 to start the final stanza. Jankunas converted a three-point play. Freeland sank a hook shot before the television timeout gave both sides a brief rest. Jankunas and Freeland traded buckets, though the latter drew a foul from the former on his. 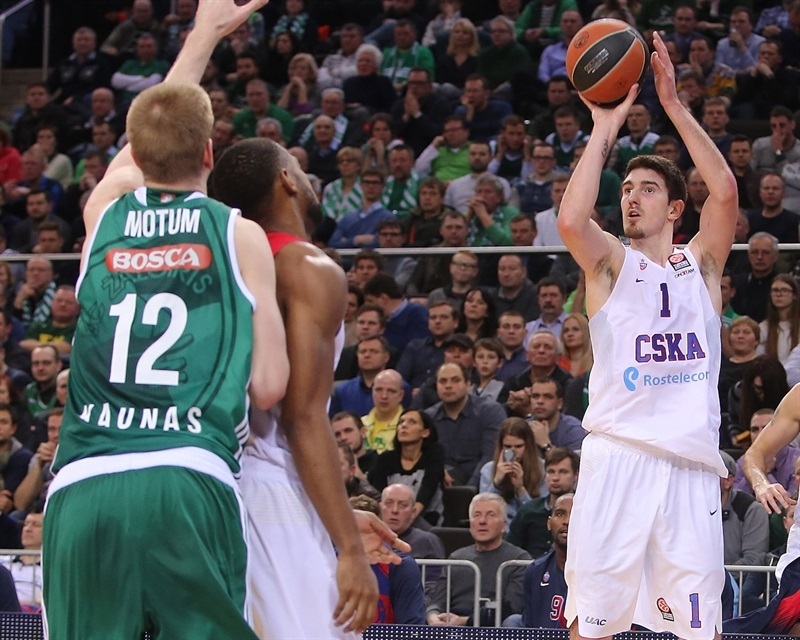 De Colo’s steal and free throws kept the CSKA momentum. Hanlan made a runner in the lane, but more great CSKA passing led to a Freeland slam and De Colo made a layup on the break to make it 53-78. Vene and Dmitry Kulagin traded baskets. 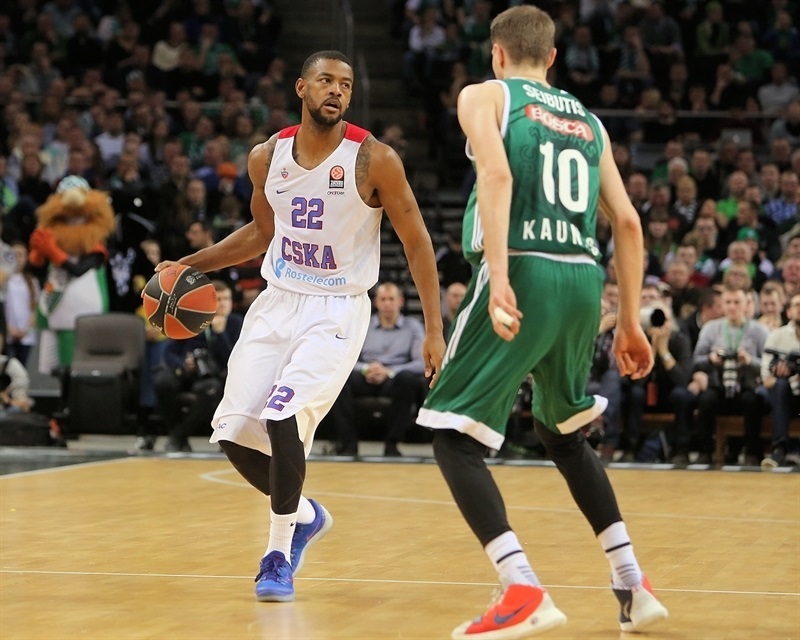 The lead continued to swell on threes by Fridzon and Demetris Nichols as the lead reached the 30s and CSKA cruised to another impressive victory. "First of all, I want to congratulate our opponents on the victory and great performance. I‘m disappointed we couldn‘t fight harder and create intrigue. I would like to say thank you to our fans. It‘s hard to talk about the game because we fought less than we planned. We lacked aggression and we had to be more confident taking shots. I think the win against Olympiacos showed that we can fight with elite teams, but this time we fell short. We have to work harder and move on." "I would like to praise my team for a great performance and victory. 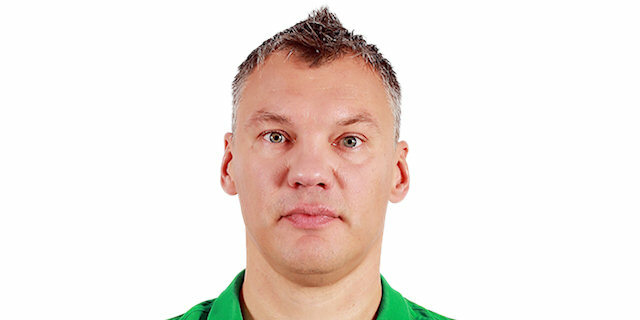 We respect Zalgiris and thoroughly prepared for this game. Here they crushed Olympiacos, which is a very athletic team. The fans added energy for them, but tonight we were the better side at all aspects and we deserved a win." "We don‘t have any excuses. We worked hard and training was productive, but we made too many mistakes in the game and our opponents grabbed more rebounds. Their defense against our guards was very tough, so we had a lot of problems. We have to analyze the game and learn from it." "We knew it could be a tough game. 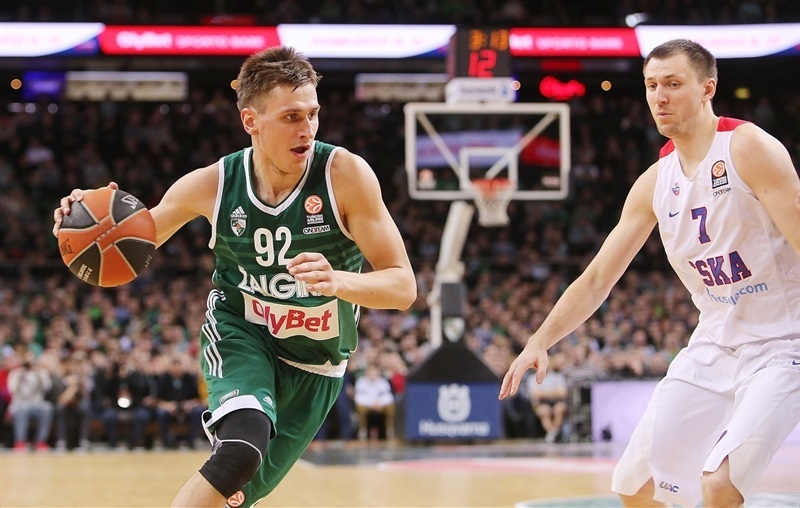 Zalgiris has amazing fans, but we stuck together and found a way to victory. I‘m happy that we were focused and grabbed a win in Kaunas, because we all know how hard it is to play here."